Easily embed videos from various sources ( YouTube, Vimeo, Hulu, Vine, etc ) using drag and drop. The extension adds a new module. 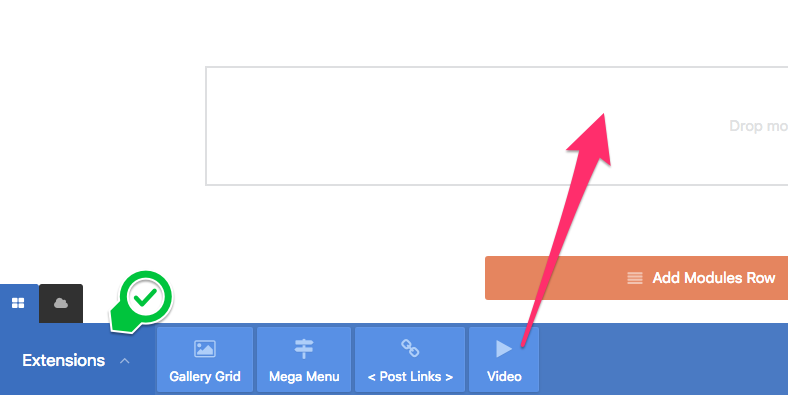 No need to mess with shortcodes or iframes to place video on your page. There are also the usual styling options like in all the modules ( border, paddings, backgrounds, etc ). After the Official Extension pack installation on WP Admin > Plugins, go to WP Admin > Live Composer > Extensions and activate the add-on. The module will be available in the modules listing.